Spending a lot of time with technology usually means that we’re removed from nature, but Robbie Tilton’s Natural Keyboard project tries to re-establish a meaningful connection with the natural world. Tilton was frustrated with the modern aesthetic of clean and simple, but cold and lifeless – so he wondered what would happen if our technology were alive and relied on us. Tilton started out by studying an Apple wireless keyboard and figuring out how to transform the plastic and aluminum device into a more natural object. 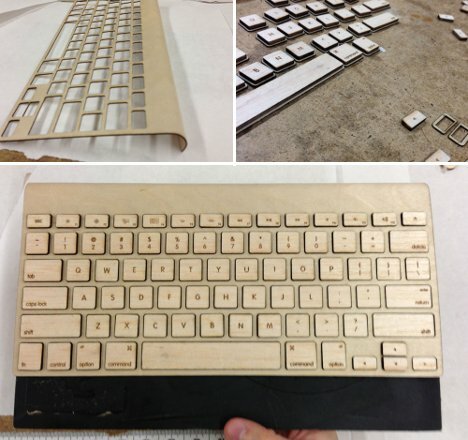 After cutting pieces of plywood with a laser cutter and fitting the keyboard together, the previously cold and impersonal keyboard was transformed with the warm, rich look of wood. 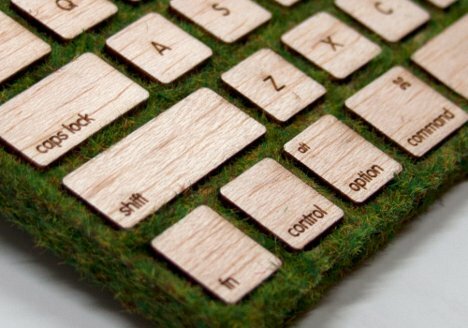 Although Tilton wanted to use real, growing moss on his keyboard, time constraints meant he had to use fake moss instead. Even with the artificial plants covering its surface, the keyboard looks (and, according to Tilton, feels) like an object out of nature rather than out of a factory. 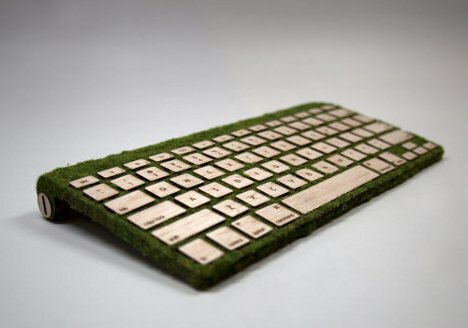 Maybe someone else out there with the same ideas can carry out the project to its intended conclusion and create a truly alive, growing keyboard that offers a tactile connection to the natural world. See more in Computers or under Gadgets. October, 2012.